Discovering your money type – whether you are an Abraham (hospitality), an Isaac (discipline), a Jacob (beauty), a Joseph (connection), a Moses (endurance), an Aaron (humility), or a David (leadership) – will bring greater self-awareness, reduce internal financial tension, help you resolve financial conflict with others, and help you grow financially from a faith-based perspective. 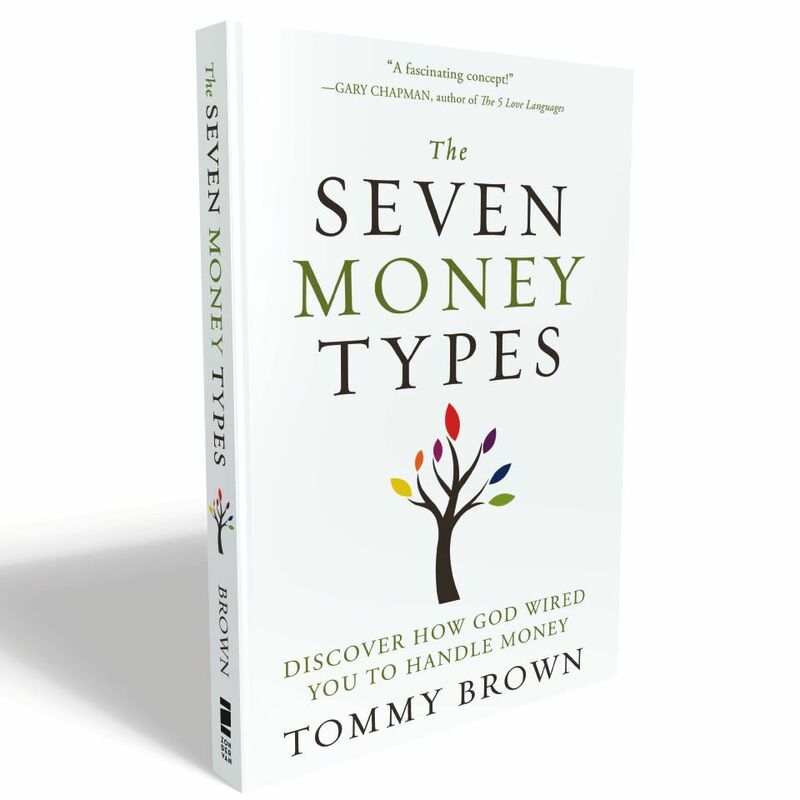 As you walk with Pastor Brown through the Scriptures you’ll find holistic financial pathways that lead you to a place of increased awareness and confidence related to money. True financial well-being involves more than getting out of debt and accumulating wealth. It’s about discovering how you’re wired by God, and how that wiring influences the way you think about, feel toward, and handle money. Note: Abraham, Isaac, Jacob, Joseph, Moses, Aaron, and David are biblical characters that served as money types to clarify what is means to be made in God’s image in certain aspects. Note: Know your motivation before you spend. Is it for the love of others or do you feel obliged to do so? Note: Even though you want to make sure others get what they want, you must make sure that you voice what you want as well to help other feel included in your life. This is to insure you are also taking care of yourself. Note: Isaac types do not work hard for there own glory. Whether its small or large deals, all their work is based on glorifying God so they can help further the kingdom. Note: Even though it is great to be looking for the best deals and working on saving every dollar spent, it is also important that you take time to splurge on yourself and be willing to buy something without a coupon. Note: Jacob types can be known to overindulge in themselves and others causing financial mistakes that will hurt them in the future. Note: Jacob types will often struggle with the choice of hospitality or discipline. Note: Joseph types are dreamers. They are always thinking and studying so they can pursue bigger goals and help enrich the lives of those around them. Note: Joseph types at times get far too connected in the world and do not take time for them. It’s important they carve out time to work on their relationship with God and time for rest. Note: They essence of how Moses money types operate is under a type that is Endurance. Endurance is possible by establishing the value of well-ordered financial habits. Organization is established with the intention of providing space for them to not worry excessively about money, but then entrust God to provide the rest. Note: The conflict that Moses types run into can be judgment regarding how others handle money and the need to bring about order for themselves. They also struggle through moving things ahead to quickly or assuming more responsibility than is necessary. Note: Aaron types operate under a core value of humility. By humility, serving others is defined. They are understood and recognized by how they are sacrificial with their finances manifested in trust in provision and care for the here and now before them, as well as their compulsion to care for the needs of others/ injustice. Note: The struggle that Aaron types run into is predominantly instability. This instability can often manifest in being too easily persuaded by what others wants are and tending to them. Note: David types see the big picture and align their resources in order to achieve these ends. They are drawn towards the future and crave to leave a financial legacy for the next generation and have an incredible capacity to provoke a following. Note: David types can fall into selfishness by their accelerating rigor. They can get so occupied with where they plan to go that they fail at Kant’s implication of using people as means rather than “ends in themselves”. Note: Financial well-being does not begin with what is outside of ourselves but rather becoming increasingly aware of our interior lives, and being diligent to tend them. Note: We are all responsible to grow in each money type as all participate in the full manifest image of God. But understanding these different facets help us to understand what is going on within the psychology and emotions of others as they are operating within their ordained money-type. We also must embrace our dominant money-type without competition in order to witness God’s image manifest in us and around us according to our money-type.